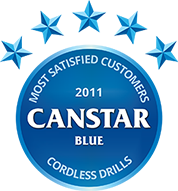 Compare cordless drills using our customer satisfaction ratings. Canstar Blue research finalised in October 2010, published in February 2011. Makita won the corded drills overall satisfaction along with top marks for battery life, reliability, accessories and performance. While women are buying drills, they are not necessarily the ones using them, according to our recent corded (electric) and cordless (battery) drill survey. In fact, most of the women we surveyed said that they had passed the drill on to someone else in their household to use. The survey also found that Makita users are the happiest, with the brand winning our ‘most satisfied customers – cordless drills’ award. Makita also won the corded drills category. Makita won across a number of criteria, including overall satisfaction, battery life, reliability, accessories and performance. Black & Decker and Ozito shared a five star rating for price, while Black & Decker and Bosch tied for the lead when it came to warranties. Bosch also received a five star rating for weight. With a strong performance in both drill categories, customers of the Japanese owned Makita are obviously very happy with their product. However, respondents were able to name a number of problems with cordless drills in general. The main concern related to the battery life, with a consensus that batteries take too long to charge, and don’t last long enough. Respondents were also critical about the lack of accessories that come with the drill, including spare batteries and drill bits. Some brands come with no accessories (including drill bits), meaning that the drill is unable to be used until the additional pieces have been purchased. The weight of the drill was also raised as a problem, which is consistent with the findings about corded drills. Makita received five stars, followed by Ryobi, Bosch and Black & Decker on four stars and Ozito on three stars. Ozito and Black & Decker tied with five stars when it came to price, followed by Ryobi and Bosch on four stars, and Makita on three stars. Black & Decker and Bosch both have the most satisfied customers when it comes to the warranty they receive with their drill. Ryobi, Makita and Ozito received four stars. Bosch, Makita and Ryobi customers are all equally satisfied with the reliability of their drills, each receiving five stars. Black & Decker followed on four stars, then Ozito on three stars. Respondents who have Makita, Ryobi and Bosch drills are equally satisfied with the accessories they received, and have been awarded five stars. Black & Decker received four stars and Ozito received three stars. Makita, Ryobi and Bosch could again not be split, all receiving the top rating. Black and Decker received four stars, and Ozito three stars. Bosch customers are the most satisfied with the weight of their drills, followed by Black & Decker, Ryobi and Makita on four stars, and Ozito on three stars. Makita has been awarded the highest rating when it comes to battery life, followed by Bosch, Black & Decker and Ryobi on four stars, and Ozito on three stars. Canstar Blue commissions Colmar Brunton to regularly survey 2,500 Australian consumers across a range of categories to measure and track customer satisfaction. The outcomes reported are the results from customers within the survey group who have purchased a cordless power drill in the last two years – in this case, 584 people. 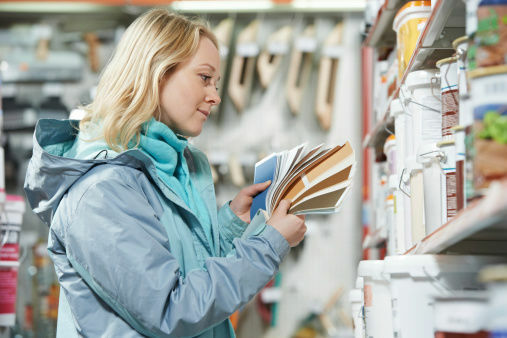 If your big DIY plans have fallen flat because you don’t have the time, patience or know-how to get the job done, here are some tips.